One afternoon, single mother Sara Weston says that she's going to the store--and never returns. 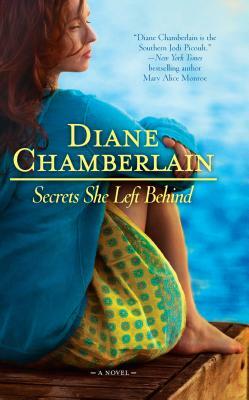 In her absence, she leaves her teenage son alone with his damaged past and a legacy of secrets. Keith Weston nearly lost his life in an act of arson. He survived--but with devastating physical and emotional scars. Without his mother, he has no one to help him heal, no money, nothing to live for but the medications that numb his pain. Isolated and angry, his hatred has one tight focus: his half sister, Maggie Lockwood. Nineteen-year-old Maggie Lockwood spent a year in prison for the acts that led up to the fire. Now she's back home. But her release cannot free her from the burden of guilt she carries. She grew up with Keith Weston, played with him as a child...and recently learned they share the same father.